For much of its 111-year history, American luxury car brand Cadillac has been focused on the road-going character of the premium brand. While other automakers like Bentley, BMW, Audi, Jaguar and Mercedes-Benz used motorsports to highlight their latest engineering know-how documented with storied wins at tracks like Le Mans and the Indianapolis Motor Speedway, Cadillac's past has seen the General Motors' brand more accustomed to cruising boulevards or parked at country clubs. Several seasons of Pirelli World Challenge has resulted in four drivers' championships over a decade-long timeframe including Cadillac pilot Johnny O'Connell's 2014 title. With the completion of the recent season, Cadillac also locked up its three-straight manufacturers' title thanks to its V-8 powered, race-prepped CTS-V Coupes. 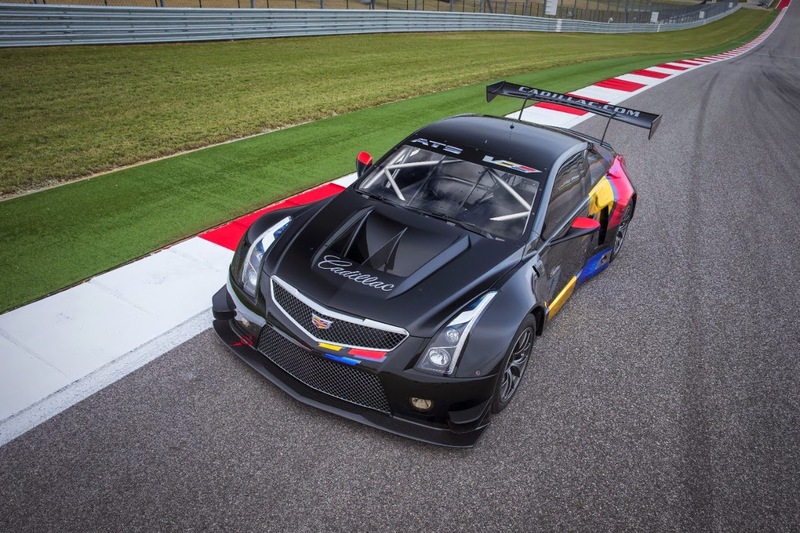 Fending off exotic vehicle like the Bentley Continental GT3, Lamborghini GT3, McLaren 12C GT3 and the Audi R8 Ultra through 2014, Cadillac will attempt to continue its reign in sports car competition with an brand-new car in 2015. Designated at the Cadillac ATS-V.R, the future track terror is delivering a number of advances over the previous championship winner. The first notable change is the adaptation of the ATS-V Coupe rather than the CTS model. 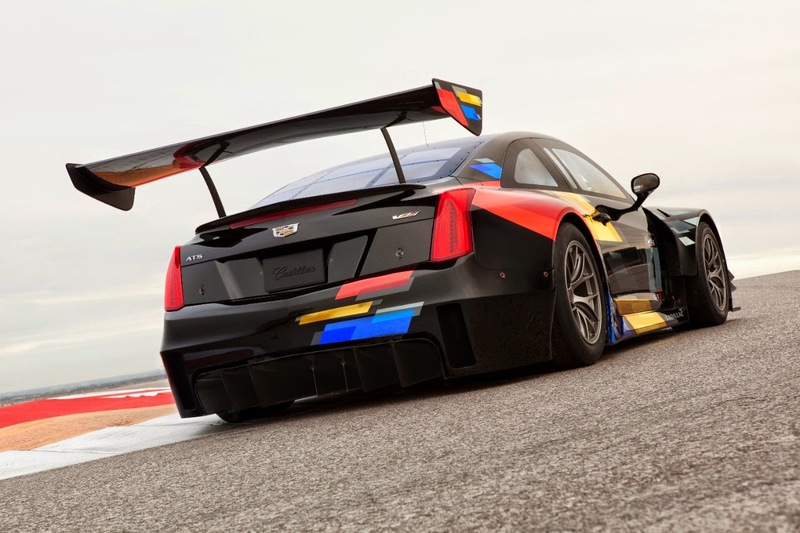 Originally fielding the CTS sedan in 2004, Team Cadillac has been fielding a CTS-V Coupe from 2012 up to this season. Set to be revealed at the Los Angeles Auto Show, the yet-to-be shown stock 2016 ATS-V Coupe will be the brand's first compact performance model. Another aspect affecting the look of the appearance of the 2015 ATS-V.R is that the race car conforms for FIA GT3 rules. The FIA GT3 specifications were approved for the 2013 Pirelli World Challenge season and is widely-applied in global motorsports. An aggressive aero kit consisting of a carbon fiber front splitter and a full undertray give the Cadillac ATS-V.R a firm sports car look. Fenders have also been shaped to allow FIA-mandated tire sizes that will be mounted to the Cadillac race car's 18-inch BBS racing wheels. Brembo brakes and three-way Penske adjustable shocks are fitted to ATS-V.R in order to handle fast, tight cornering. Moving the brand-new Cadillac is handled by a dramatically different type of engine. The ATS-V.R will be the first recent competition Cadillac to be powered by a V-6 engine. Modified for racing, the 3.6-liter Twin Turbo V-6 powerplant is based on a production Cadillac engine like the one found under the hood of the CTS Vsport. This engine should also be similar to the one equipped on the stock ATS-V. Larger BorgWarner turbochargers and high-capacity intercoolers as well as a side-exiting racing exhaust system will allow an available output of 600 horsepower to flow through a rear-mounted Xtrac sequential six-speed transmission to the drive wheels. Cadillac's racing history may not be as rich as other premium car companies but it does contain some notable accomplishments. During an 1909 event in Portland, Oregon for what was the first race to be sanctioned by the AAA (the United States automotive club held many major auto races prior to the formation of the USAC series), A Cadillac won a three-lap event on a 14.6-mile road course. After World War Two, competitive sports car builder Briggs Cunningham competed with Cadillac products. At the 1950 24 Hours of Le Mans, he ran a largely stock Cadillac Series 62 as well as a custom-bodied Cadillac chassis called "Le Monstre". In the same year, a Cadillac-engine Allard race car won 99-mile race in Watkins Glen. Aside from sports car racing in the 1950s, Cadillac's ran in the NASCAR Grand National Series (now called the Sprint Cup Series) though never won a race. Cadillac's arrival to the Pirelli World Challenge Series in 2004 came after a three-year prototype sports car run that yielded limited success. 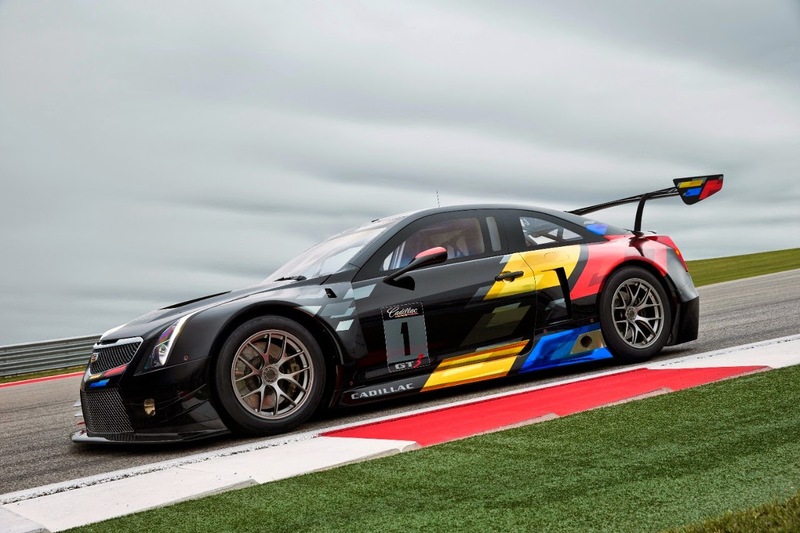 Along with its expected run as part of the Pirelli World Challenge in 2015, the Cadillac ATS-V.R's compliance to FIA GT3 regulations could allow the luxury brand to spread its sport car racing profile in the future.